And claims the puzzle has been changed in some collections during time so the test I made for Solvers and Optimizers was done with a false screen.77. But which puzzle is the ORIGINAL Screen.77 ? Looking for duplicates I found the above puzzle had replaced the ORIGINAL Screen.77 in the collection “Scott Lindhurst-MacSokoban”. For unknown reasons making this collection Scott Lindhurst probably replaced the puzzle. But the puzzle wasn’t removed from Scotts collection. Just moved. You will find it where you would expect to find Original Extra Screen.53. So how about Original Extra Screen.53? It is not in Scotts collection. 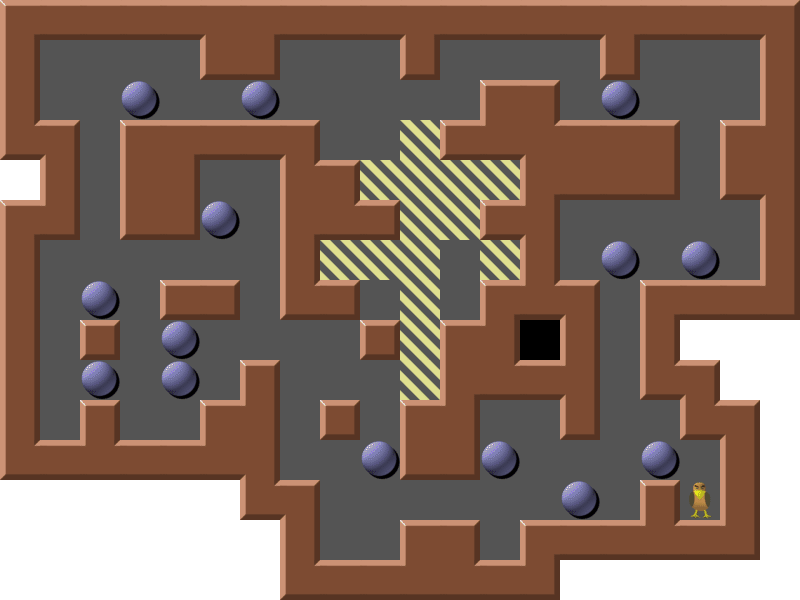 The “feel” of this puzzle certainly is like some of the other puzzles in the extra part of “Original plus Extra” so it probably is a real original that should/could be included in the collection. 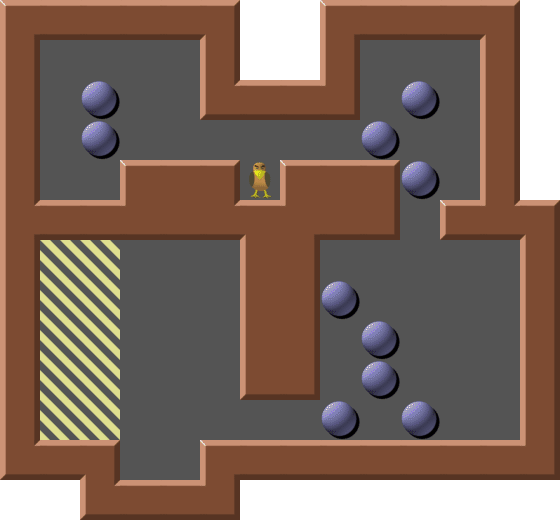 And the ORIGINAL version of the “Original plus Extra” levelset at The XSokoban website, The Sokoban website at Alberta University and at Sokobano.de. You seldom come to the last mentioned sites for downloads and neither of these provide an easy download.